1994, David opened and DJ’ed at the popular club Lift at Club Dv8 (today known as Temple) in San Francisco. His success as a club DJ led to a DJ spot on commercial radio. David joined the popular radio show Your Mama’s House on the San Francisco Bay Area’s number one radio station 106KMEL FM. Your Mama’s House was the only ‘true’ house mix show on any major radio station in Northern California. 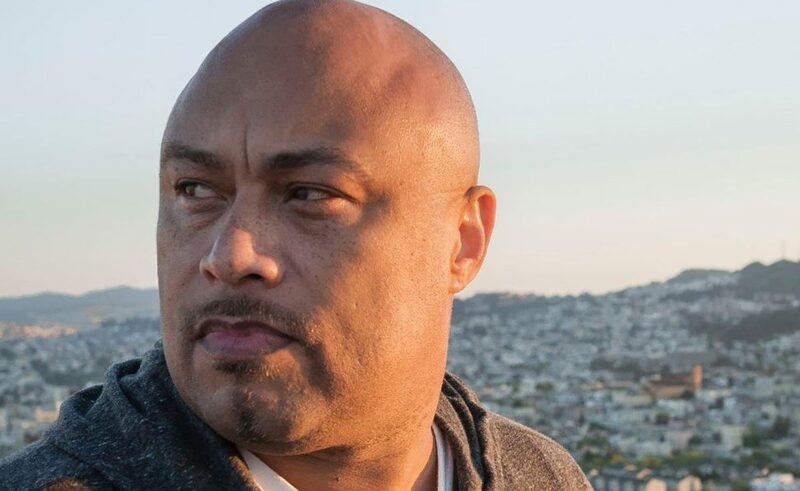 As part of the Your Mama’s House crew, David played a key role in exposing the masses to House Music in the San Francisco Bay Area till 1999. 1995 David kicked off a seven year residency at San Francisco ‘s legendary Club Universe — San Francisco’s hottest Saturday night party. At Club Universe, David had the opportunity to play with many legendary DJs like Frankie Knuckles, Tony Humphries, Little Louie Vega, Tedd Patterson, Dave Morales, Danny Teneglia, London’s Simon Dunmore & Aaron Ross, Los Angeles’ Marques Wyatt, San Francisco’s Miguel Migs, Mark Farina and Kaskade, Quentin Harris, Dennis Ferrer, DJ Spen, Timmy Regisford, Doc Martin, Osunlade, Danny Krivit, Joe Clausell, Derrick Carter Mr. V, Kenny Dope, DJ Spinna— just to name a few. His growing popularity accelerated David’s natural progression into production. In 1998, he released a CD for Universe Sounds and Twisted America, ‘Welcome to the Universe’. This innovative CD, recorded live from Club Universe, reflects San Francisco’s unique ‘sound’ and introduced the world to David Harness. Recognizing his talent, Twisted America quickly signed him to produce his first single, ‘Get It Together’, for a Twisted America compilation entitled ‘A Little Bit of the Old, A Lot of the New’. In 1999, David started Taboo in San Francisco’s Mission District. Taboo started out of David’s love of House music and his desire to provide a showcase for Bay Area talent as well as internationally known DJs. Now in Oakland, this ongoing monthly party attracts a loyal crowd of househeads from around the San Francisco Bay Area and the globe to the this blending of spirit and soul. September 2000, David launched DHJ Productions and has established himself as a respected producer and remixer. To date, David has worked on projects featuring artists such as Mary J. Blige, Luther Vandross, Aretha Franklin, Simply Red, Alicia Keys, Floetry, Donnie McClurkin, India Arie, *NSYNC, and Donnell Jones, Ann Nesby, Anane, Barbara Tucker, Inaya Day, Shea Soul, Dawn Tallman, Heidi Vogel, Yoko Ono, Roland Clark as well as remixing for labels Defected, Kings Street, Vega Records, Foliage, Quantize Recordings, Making Moves, Tribe Records, Look At You, Yellorange/Tony Records, Chez, Slaag, Bargrooves. He is a partner in the Moulton Music label and divides his production time between his solo work and co-productions with Harlum Muziq (co-productions with Chris Lum). David is also affiliated with Loveslap Recordings label releasing 2 cd’s Loveslapped Vol2, & Heartbeat, as well as original production and remixes for the label. David Has performed at Coachella, Southport Weekender, Outside Lands, Pride Festival (SF-1995-2011, Oakland-2011/2012), Nextaid Benefit, Macy’s Passport, and countless clubs and event around the globe. David has appeared in articles and interviews for Billboard Magazine, Paper Magazine, Surface, XLR8R, Streetsounds, Sweater, HX, Next, URB, DJ Mag, 5magazine, Gloss, Odyssey, The BAR, and the SF Bay Guardian.David continues to maintain a bust DJ schedule in the SF Bay Area and produces several events at Mighty, Fgag Fridays, Mars Bar, as well as frequent spots at SoulTogether (London) and other events around the world. David has received some great recognition with awards from The Monterey Weekly (1995), San Francisco Goldie Award (1995), Chicago/ Music Plant Dirty Dozen Award (2001), Nitevibe Top 10 DJ Dream Team (06, 07,08), & 2011 nomination for SF Pride Grand Marshall. David continues to maintain a bust DJ schedule in the SF Bay Area and produces several events at Mighty, as well as frequent dj spots at Fgag Fridays, Mars Bar, SoulTogether (London) and other events around the world. David Harness’ passion, talent and creativity has definitely created a new page in the history of house music and given him the deep respect of his peers.